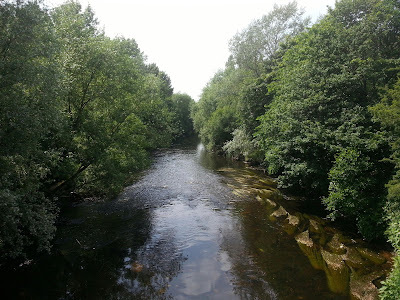 This afternoon I headed out for a short stroll to walk along the shady banks of the River Mersey with my daughter, in an attempt to escape the ongoing heat which in my opinion is a little bit too hot at present! 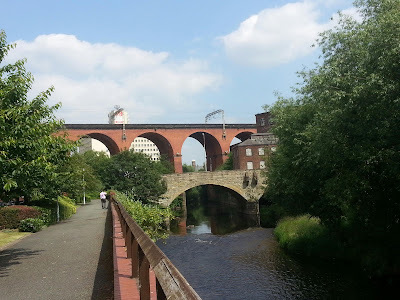 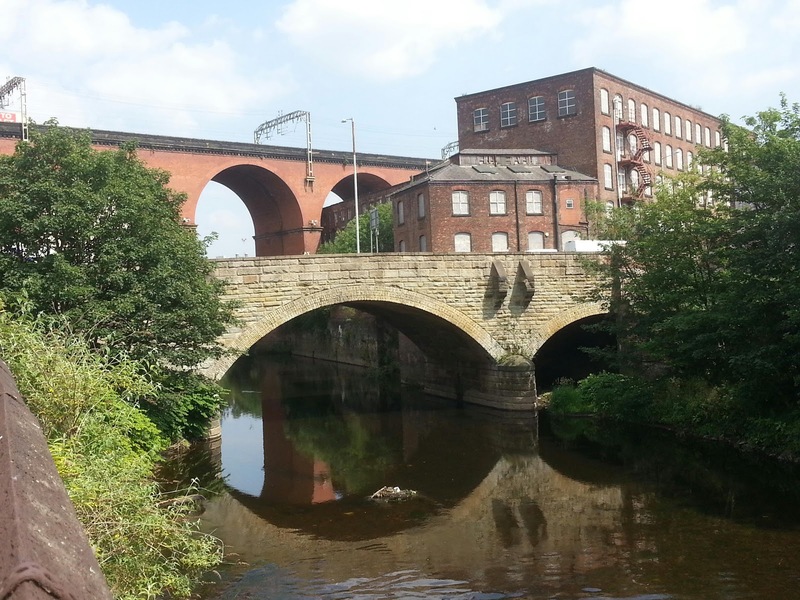 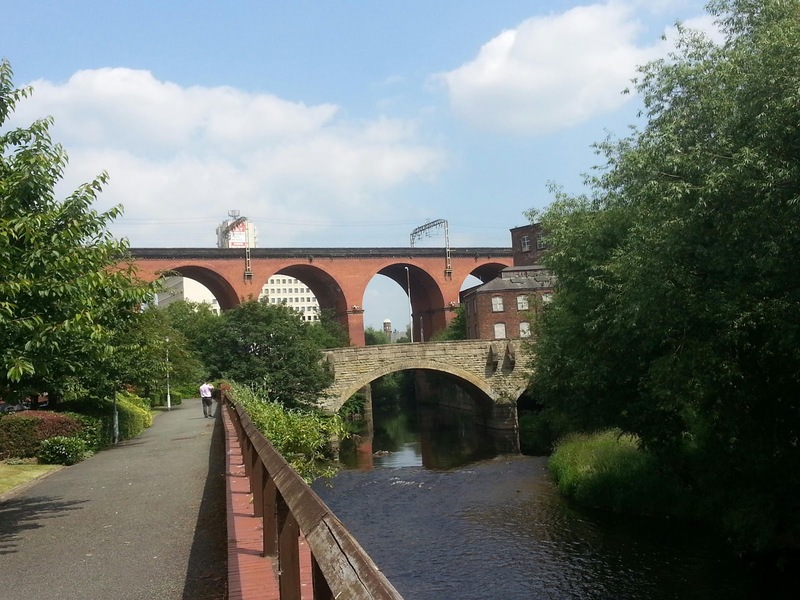 It's a pleasant 4km walk that we can do directly from our front door in Stockport, which is quite nice! 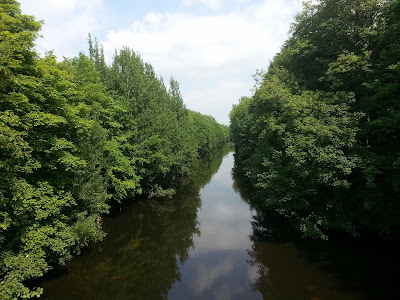 Below are a couple of photos of the Mersey from the Gorsey Bank footbridge followed by a further two shots of Stockport viaduct, which carries the main railway line south from Manchester.